The 16th Annual Cambria County College Fair, sponsored by Pennsylvania Highlands Community College, will be held on Tuesday, September 11th, at the Frank J. Pasquerilla Conference Center. This year’s College Fair will take place from 8:30am to 11am, with students coming in from across the region. 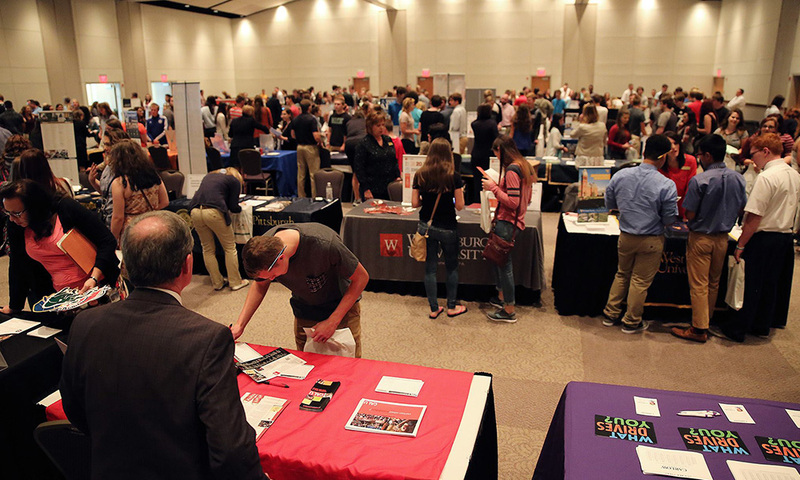 The mission of the College Fair is to promote higher education and future opportunities to not only high school students and their families, but to the public as well. The Cambria County College Fair helps local community members find and discover the many educational and career opportunities that are right in their back yard. Numerous high schools are taking part, including Blacklick Valley, Conemaugh Township, Conemaugh Valley, Ferndale, Forest Hills, Johnstown, Portage, Richland, Westmont, Windber, and more. Colleges and universities from all over the state of Pennsylvania will be on-hand to meet with and assist guests regarding their educational and career needs. With so many institutions attending, there is something for everyone: technical schools, business colleges, cosmetology schools and universities, branches of the military, banks, local businesses, and more. The Cambria County College Fair is here to better our community, please take part or stop by. The College Fair is happening on September 11th. Be a part of something special and help us promote this community event to make it a great success. For more details on the College Fair, contact Pennsylvania Highlands Community College at 1.888.385.PEAK or by emailing Daun Boyle, Assistant to the Vice President of Student Services, at dboyle@pennhighlands.edu.